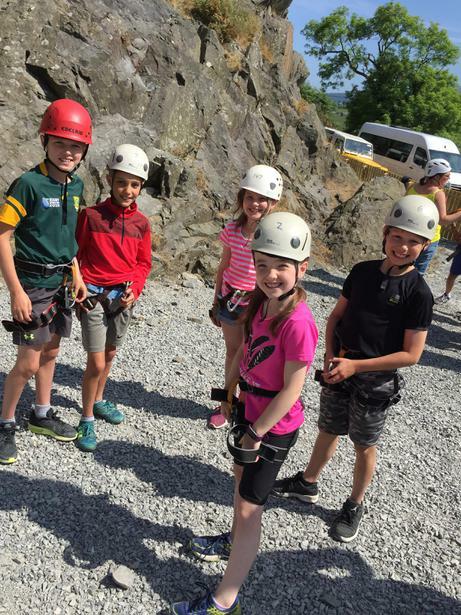 Day 2 off to a great start! 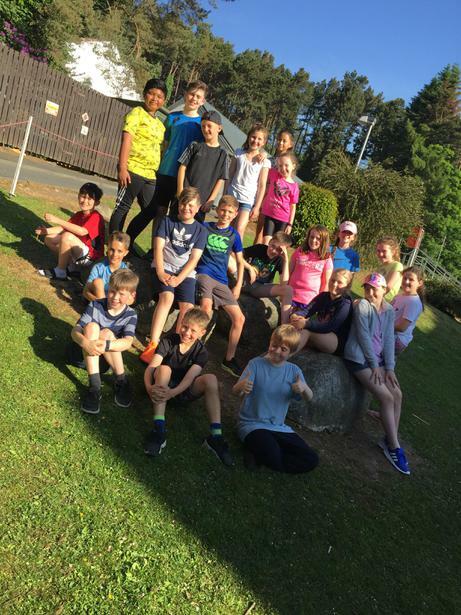 We were up bright and early this morning and busy practising our room inspection routines - if you want to check out the videos go to P6C class page! 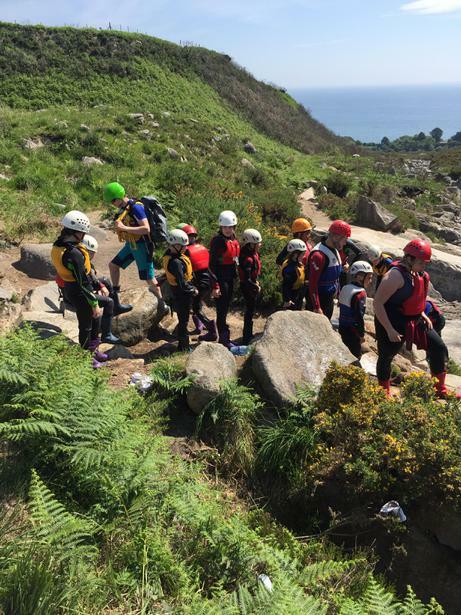 Sunshine all the way as we headed out to do some wet bouldering after breakfast. 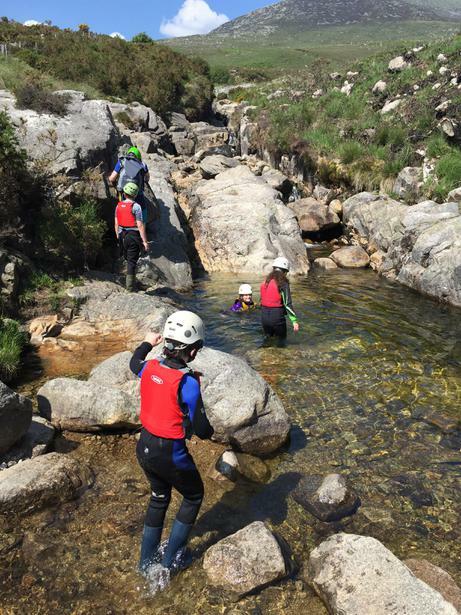 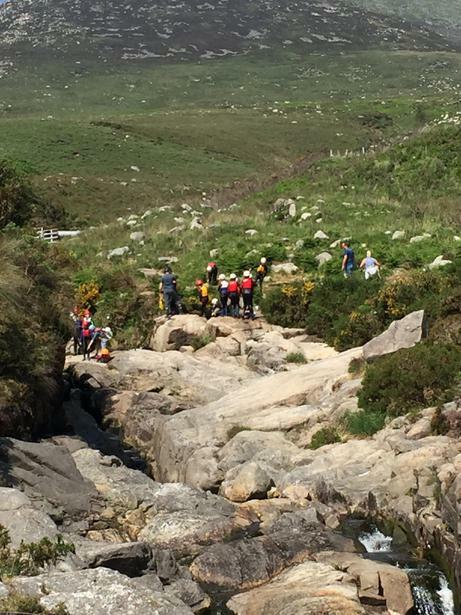 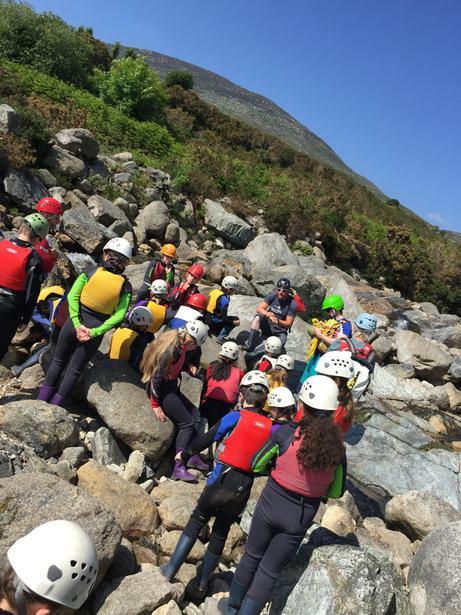 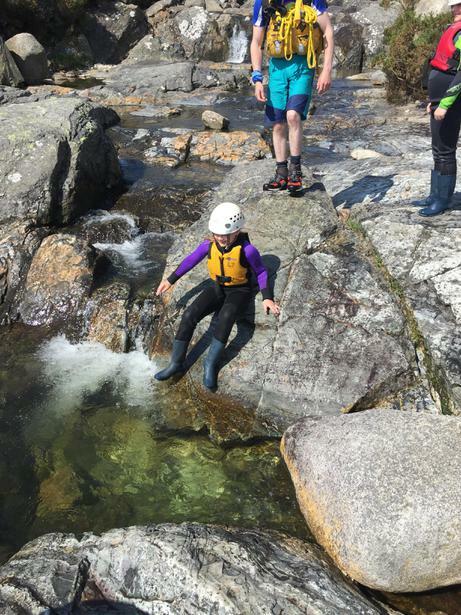 Everyone did really well at climbing up the rocks and we were all very glad of the cool water. 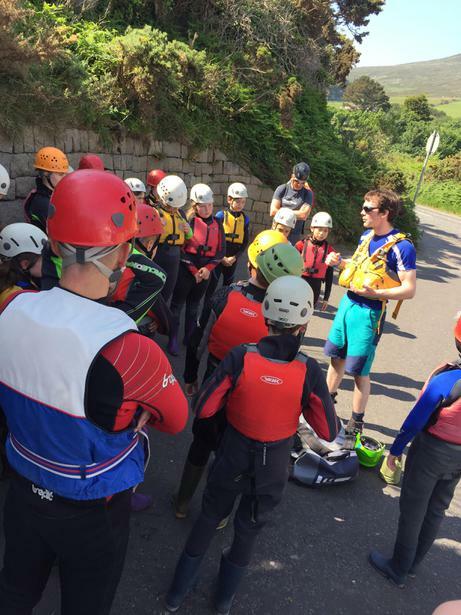 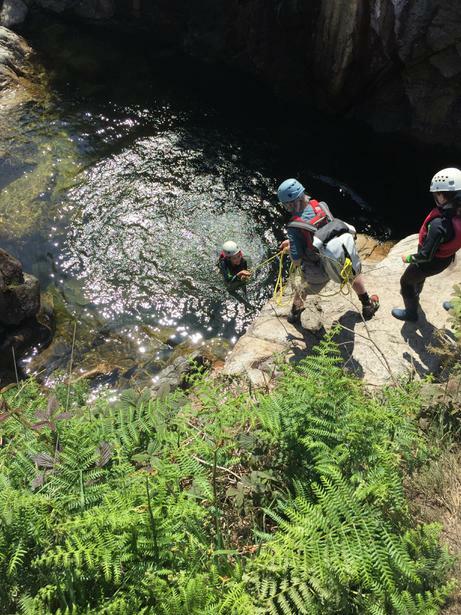 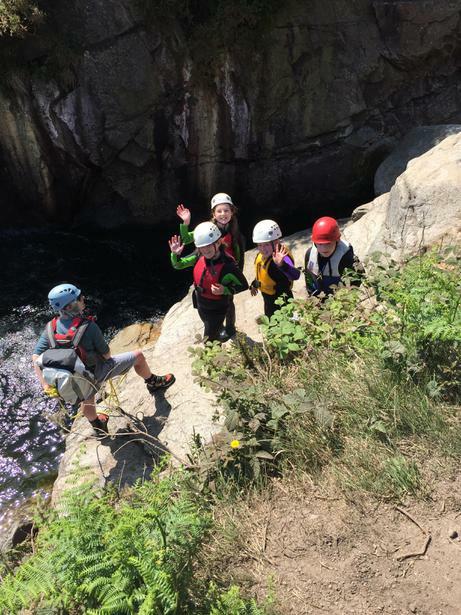 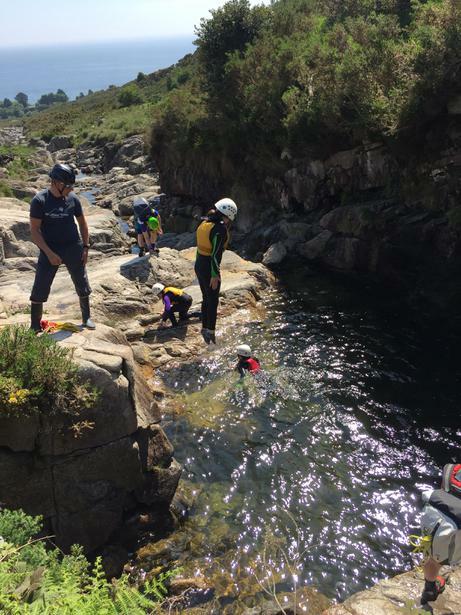 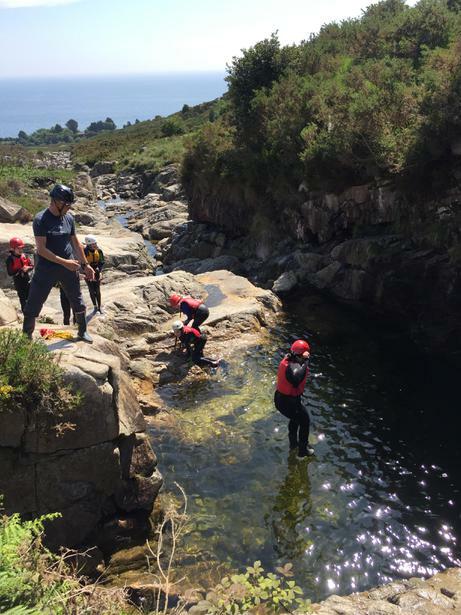 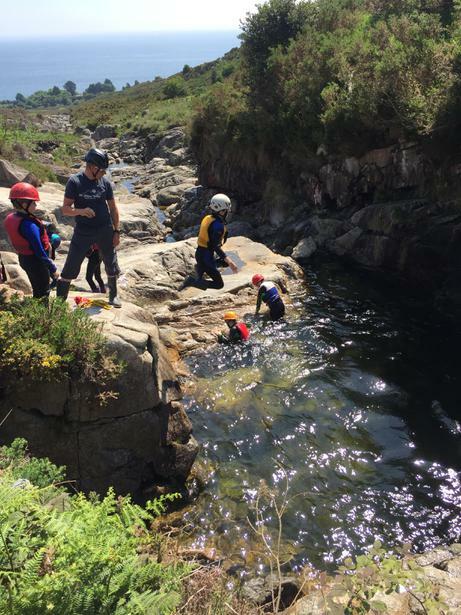 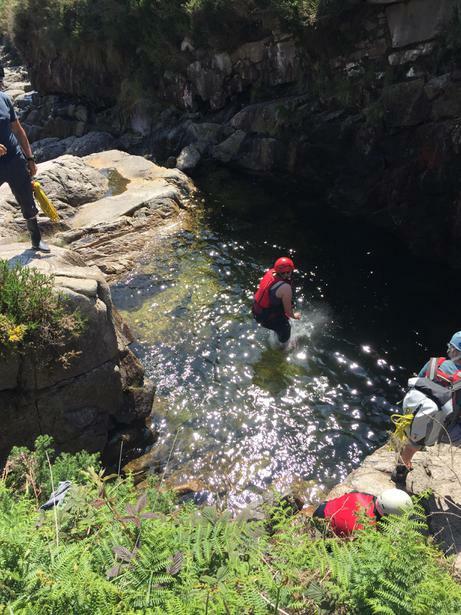 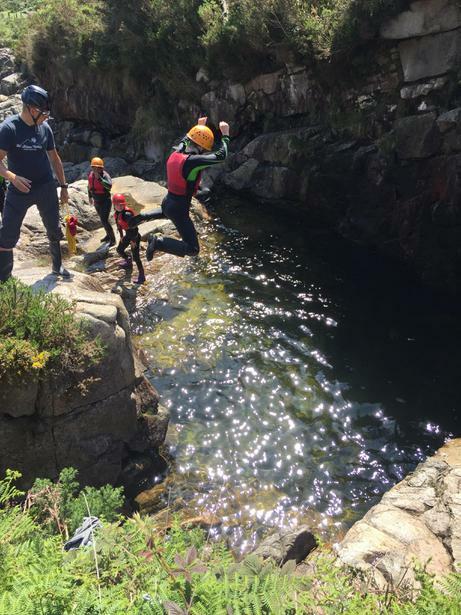 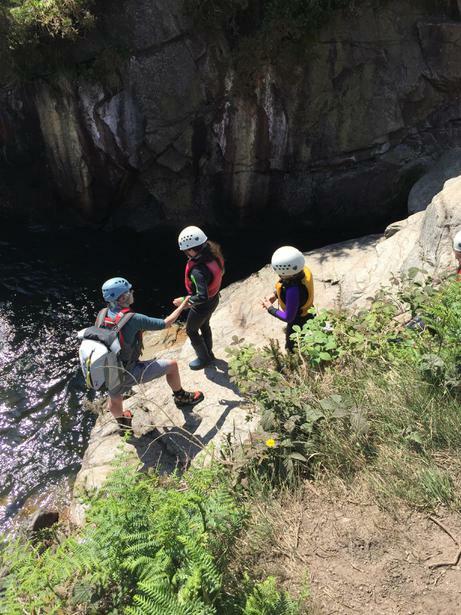 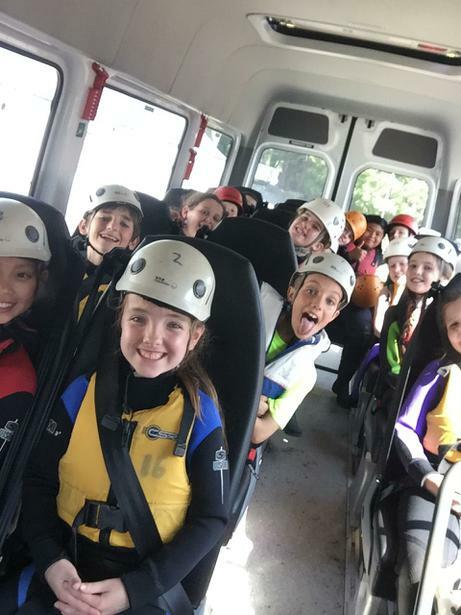 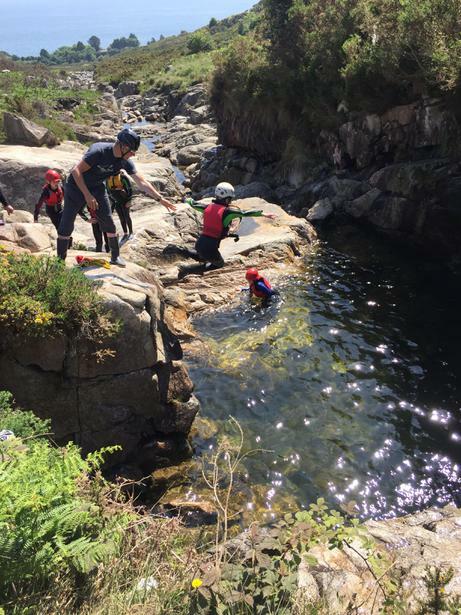 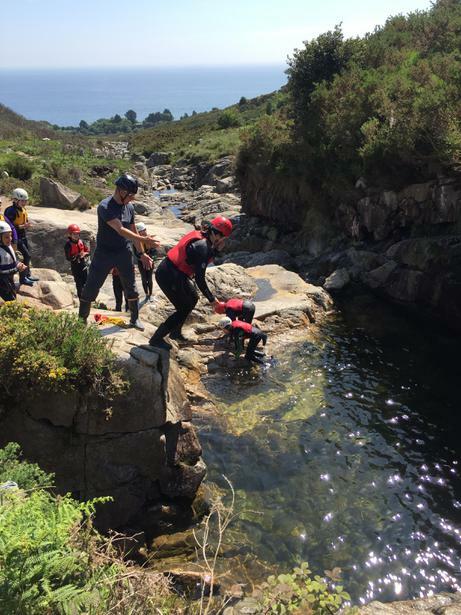 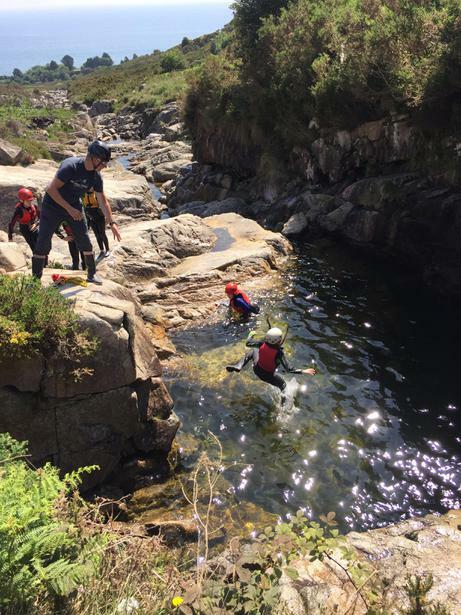 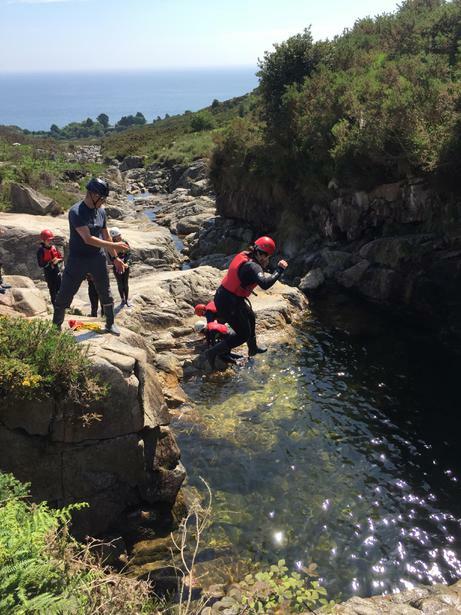 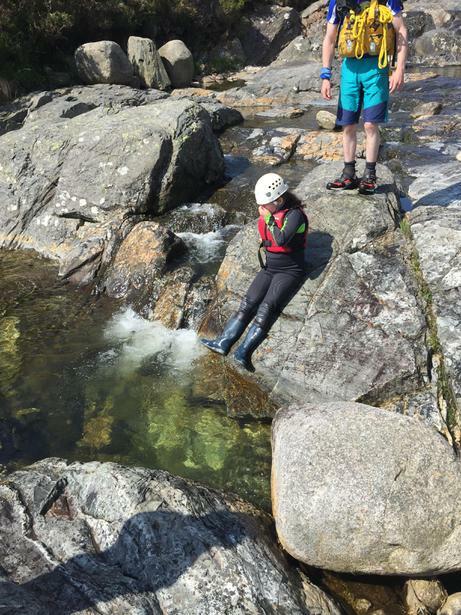 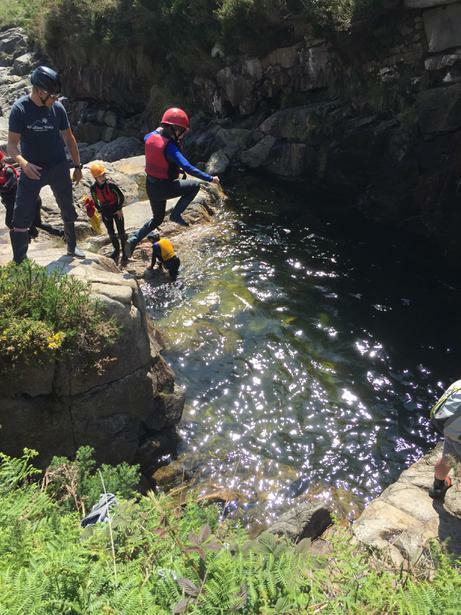 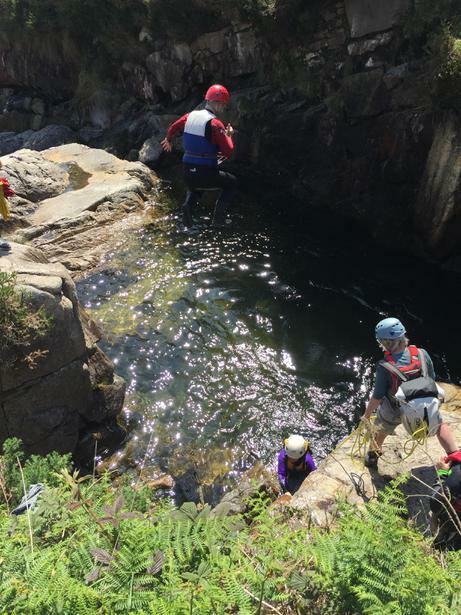 We were able to jump off a lower and higher rock into a deep pool - Miss Hoy, Mr Vallelly & Mrs Craig were amongst the very brave ones who managed the higher jump! 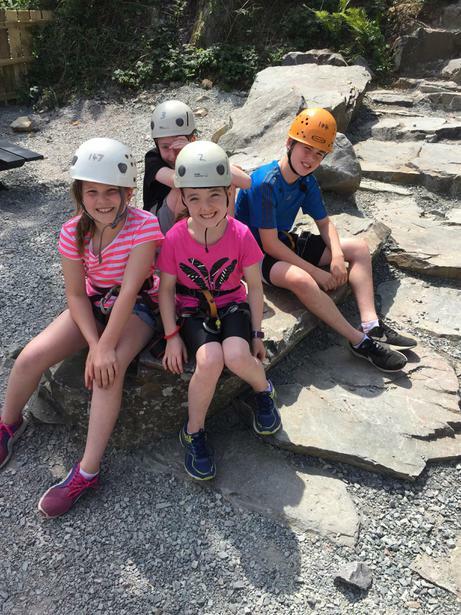 Then after lunch we got on the bus for another adventure, this time at a quarry. 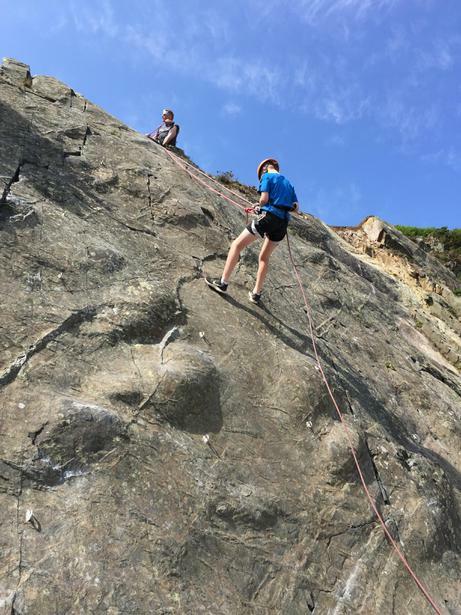 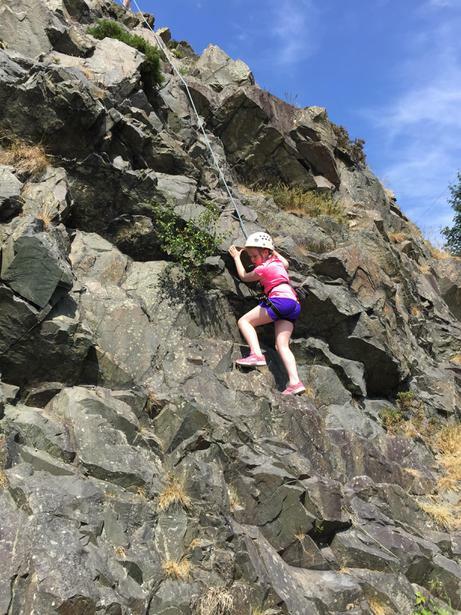 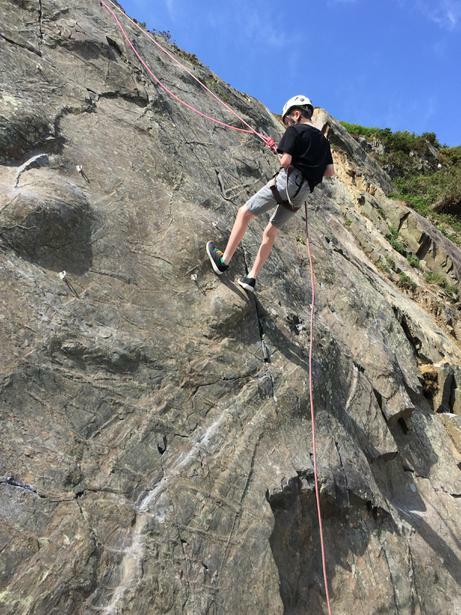 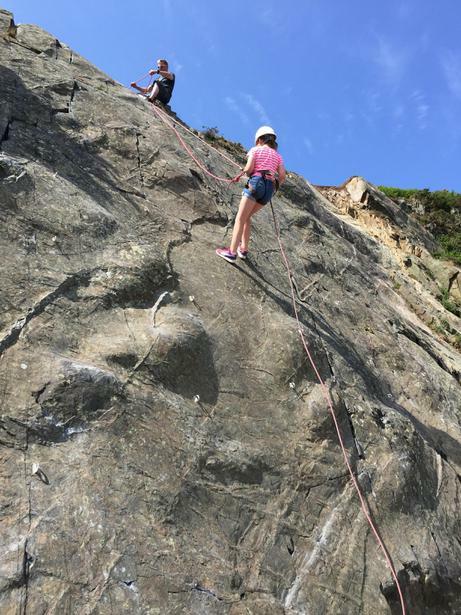 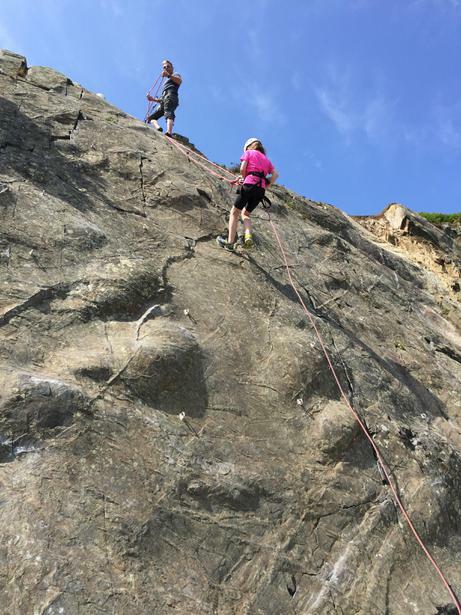 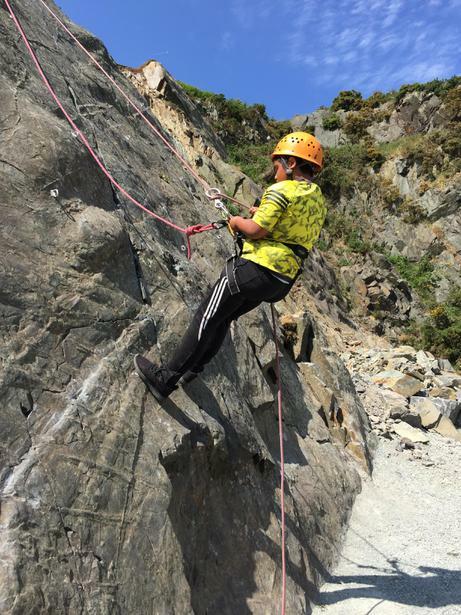 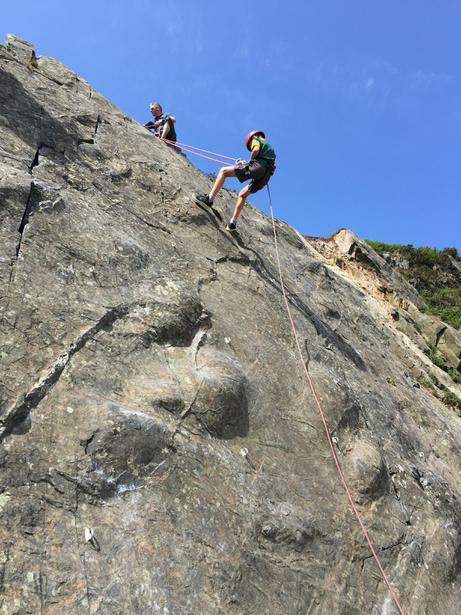 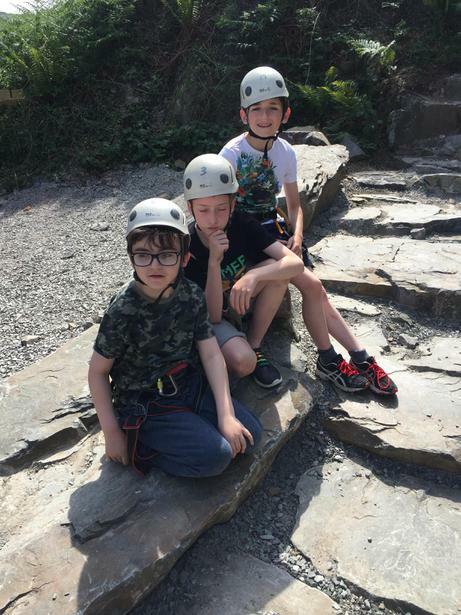 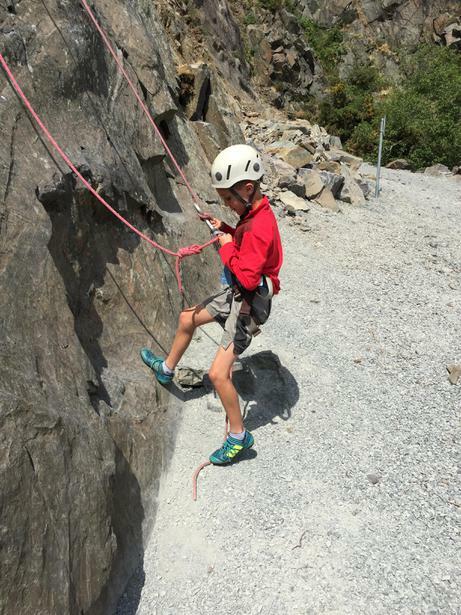 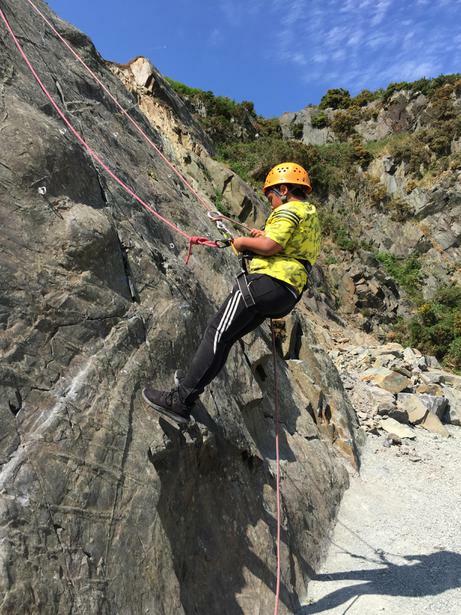 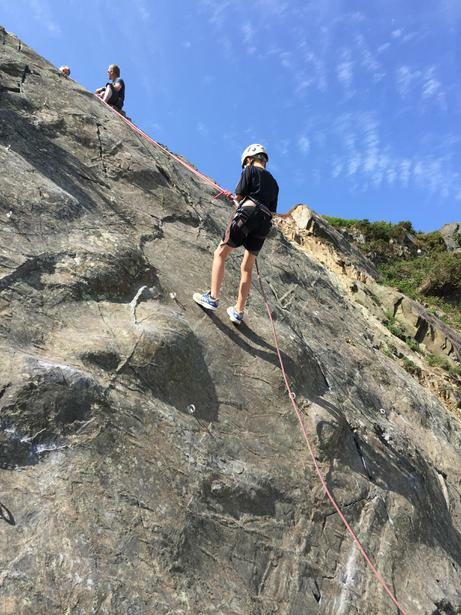 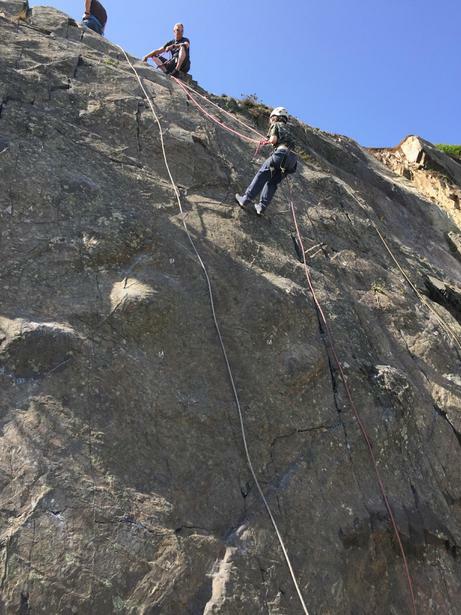 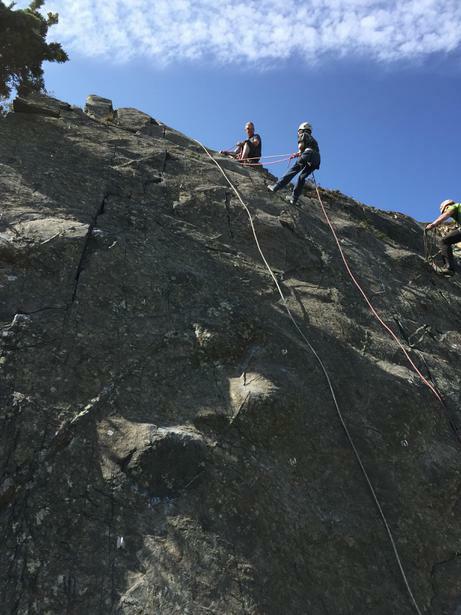 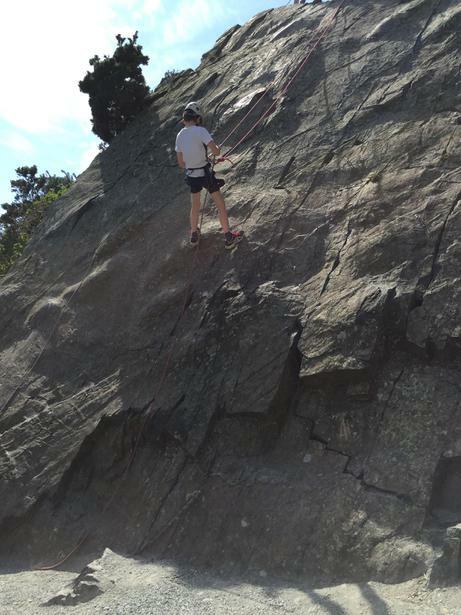 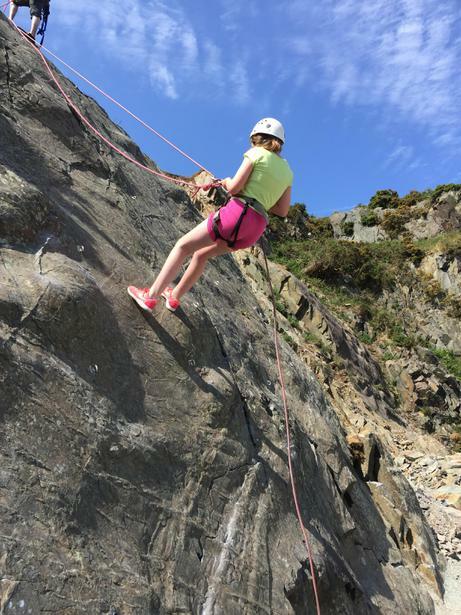 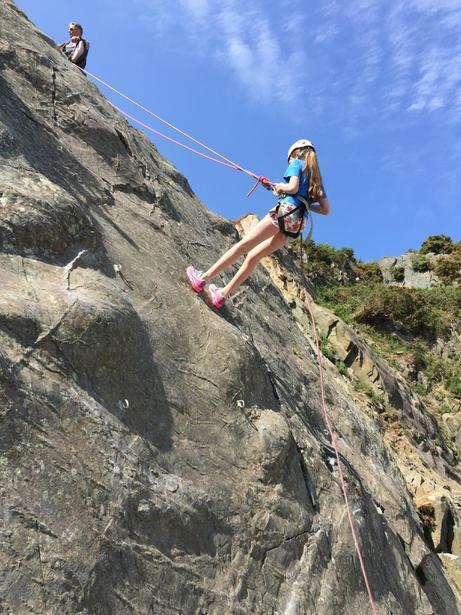 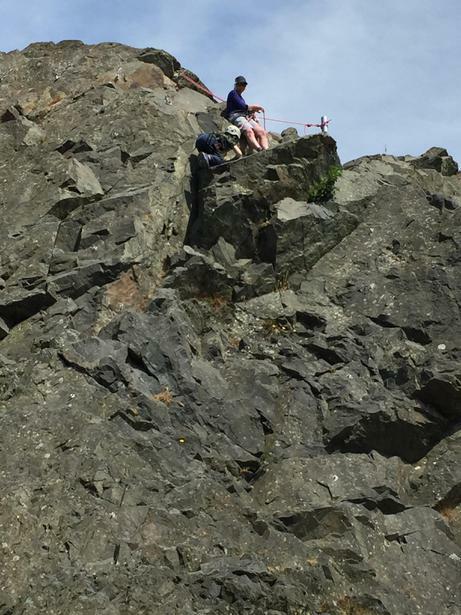 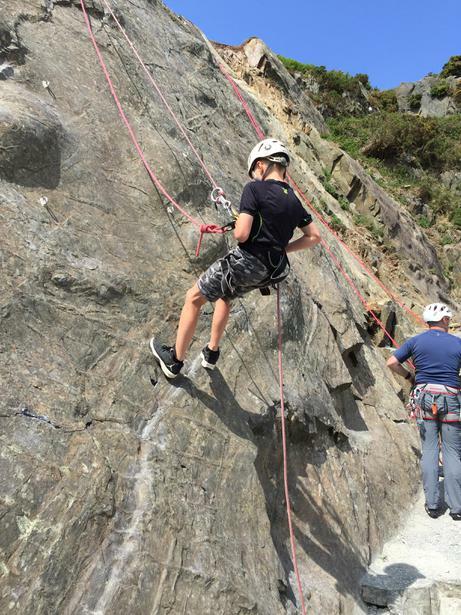 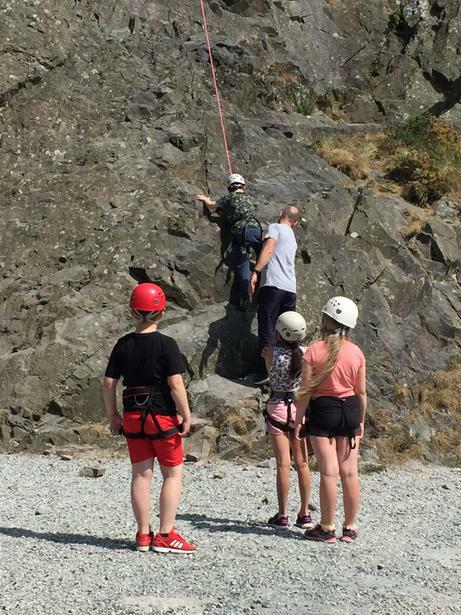 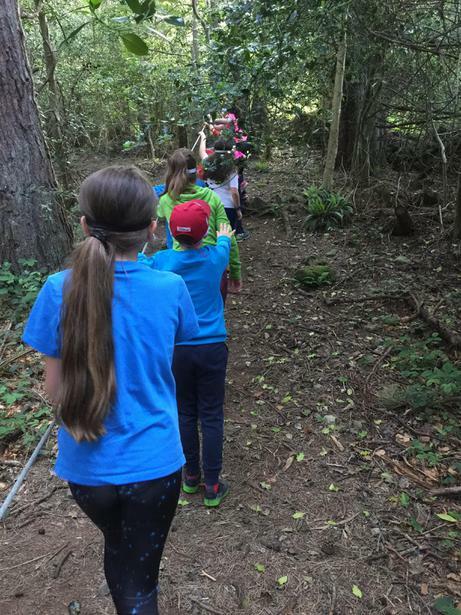 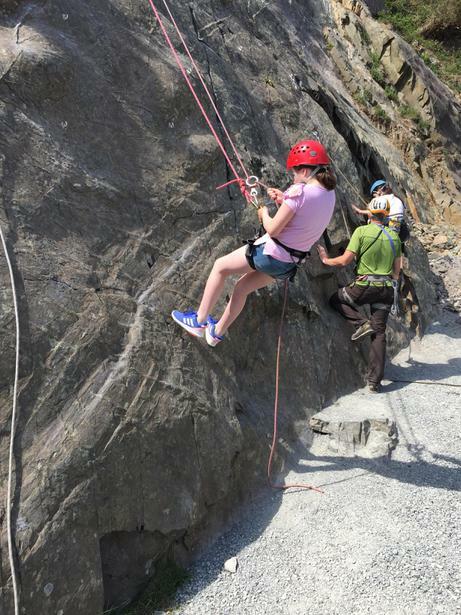 We got to abseil and do rock climbing up some very steep rock faces. 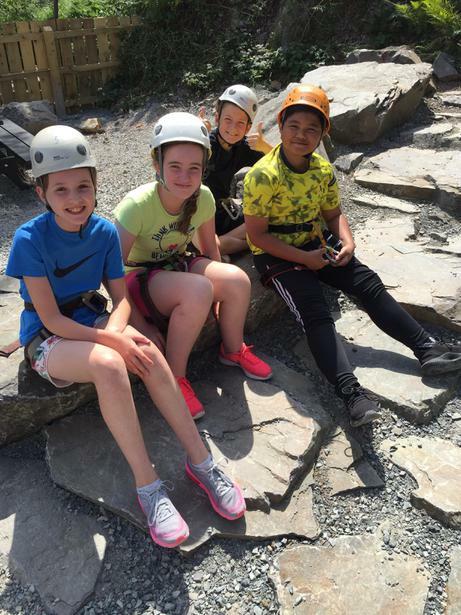 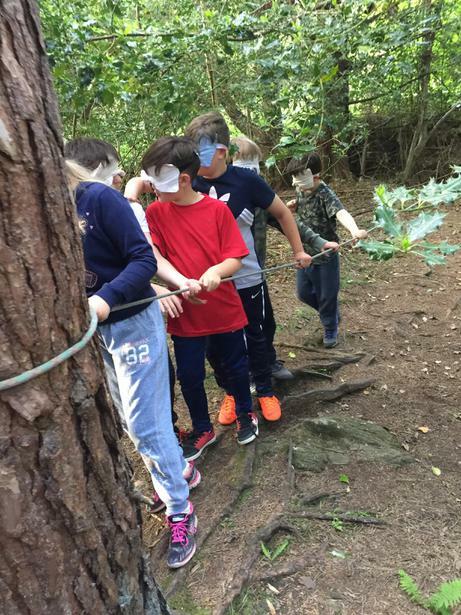 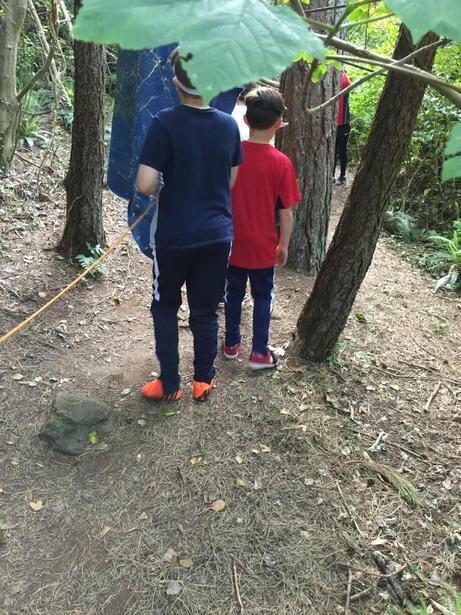 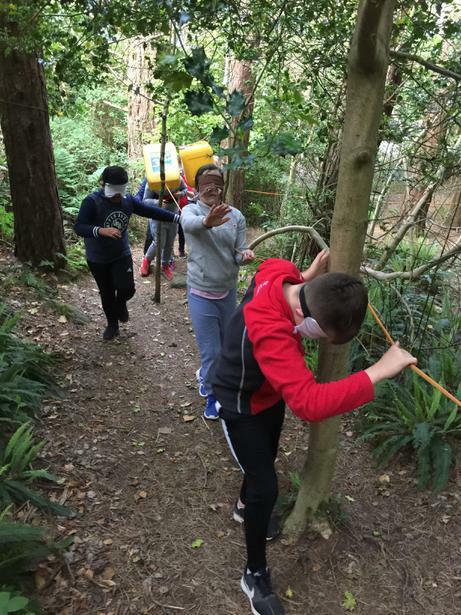 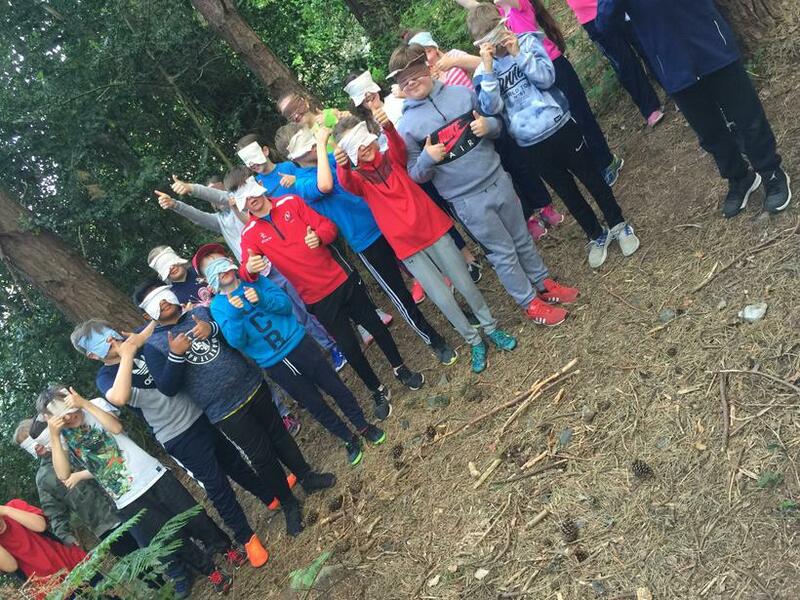 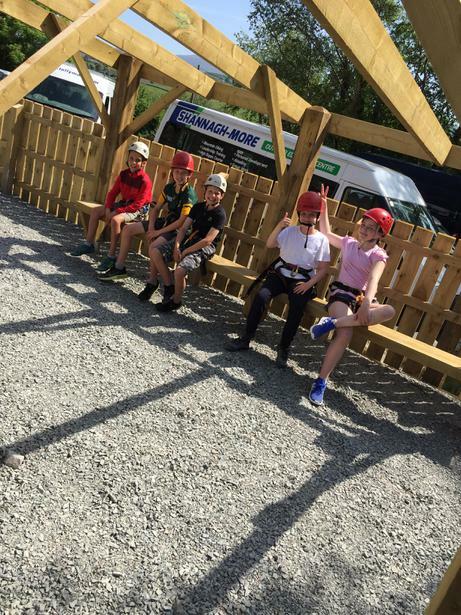 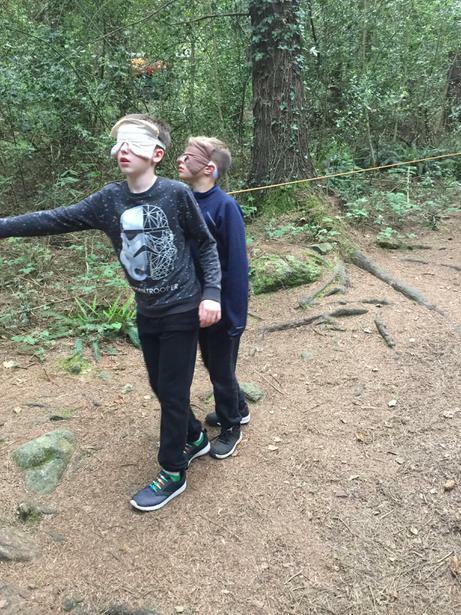 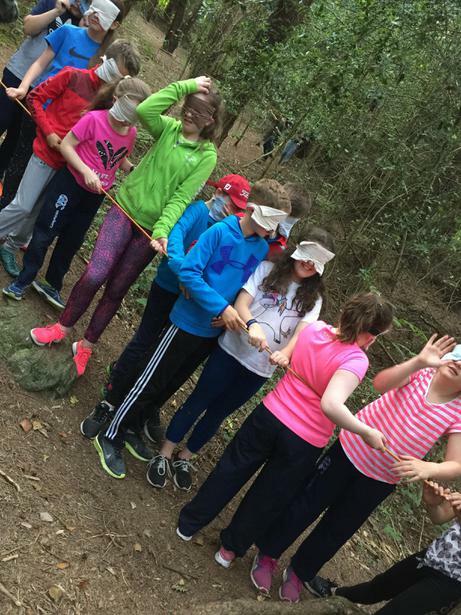 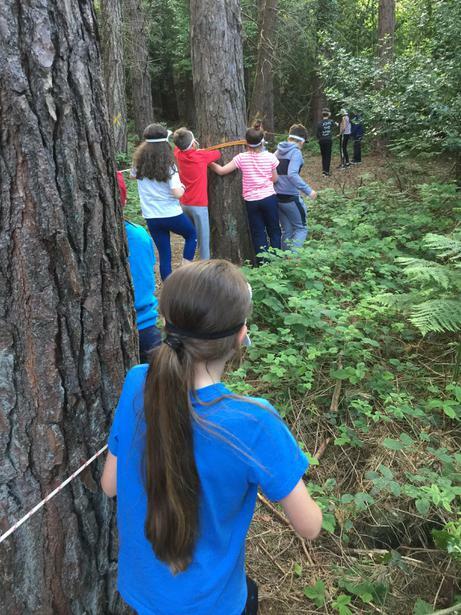 Again, so much bravery shown as many pupils conquered their fear of heights! 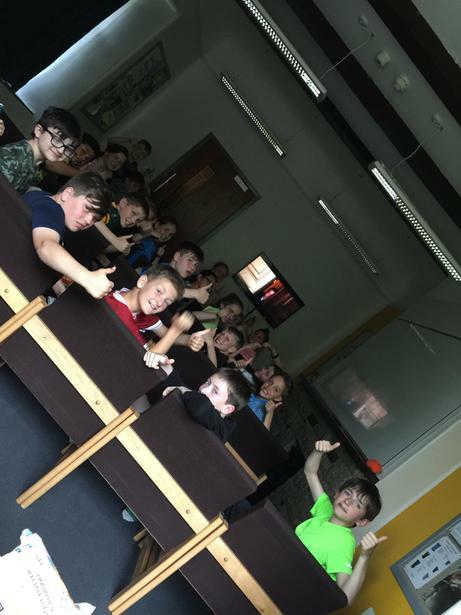 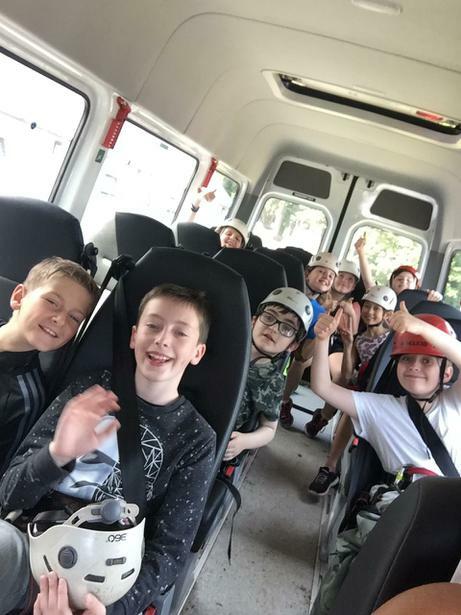 We still have Nightline and our much anticipated movie night to come this evening before we get some much needed sleep for our last day tomorrow!